Looking fit is the dream of many, but only the few achieve the goal. It does not mean that some people are chosen ones while the others are not, it is all in your head as well as in your hands. The thing is that we usually tend to forget about the time we have to visit the gym, and there is no wonder why since with busy lives most of us lead – it is only natural. That is why we think we have to come up with a pretty effective alternative. To tell you the truth getting back in shape is not always easy but it is possible with as few as only ten minutes devoted to your workout. The plan we have in mind and what is more the one we are going to share with you is unique in a way. The fact is that it involves only five exercises but all of them correlate with each other and make your whole body work so that nothing is left out. What is more, those ten minutes involve both cardio and physical training which is great; we must tell you that. 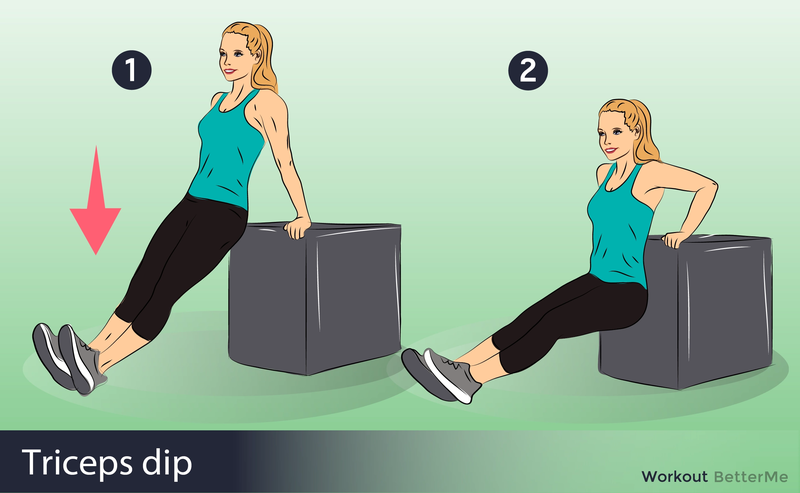 You need to repeat each move eight times and then proceed to the next exercise. After you are done with the last exercise, you rest for a minute and repeat the circuit within these ten minutes. Doesn’t sound that difficult, does it? But there is something you should always keep in mind – you are what you eat, and that is the universal truth, in order to get fit you have to eat fit.